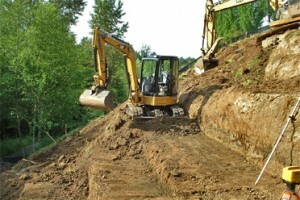 When you need a professional excavator, you can count on the highly experienced contractors at The Excavators, LLC. 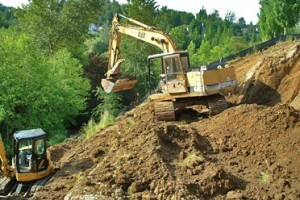 For many years, we have been offering customers all throughout the Portland Metro area the best in excavating services. As a third generation family owned and operated company, we place a large emphasis on customer satisfaction. We want every customer to understand that we will treat their excavation just as if it were our own. We understand that you have a vision for your project and we will strive to obtain that same vision and get your excavating job done with precision, exactness, and in a timely manner. New Home Construction. Whether you are building a home with a complete basement, or if you simply need the area excavated for the foundation of the home, we can handle the project. Hillside Dig Outs. You may need a hillside dug out because you plan to build a home there, because you are trying to clear a larger space for a yard, or for a variety of other reasons. We have the proper equipment to get it done correctly and safely including directional drilling in Portland. Remodels. Our Portland excavation experts are also highly trained and qualified for all your remodeling excavation needs. We also provide Sewer Repair in Portland during the excavation process if needed.